Why should I use an SBA or USDA loan? The SBA and USDA loan programs can help qualified businesses obtain financing that might not otherwise qualify for a conventional bank loan. SBA and USDA loans offer longer terms and in some cases a lower down payment which helps preserve working capital. 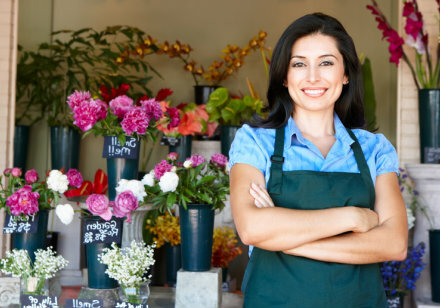 What types of businesses qualify for SBA loans? Processing time depends primarily on the transaction type and the completeness of the application. A commercial real estate purchase will generally take up to 60 days because it requires an appraisal, etc. However, a loan that is not as complex could close in 30 days. Typically an applicant can be pre-qualified by one of our experienced officers within a couple days, full credit approval is usually determined within a couple weeks. What is SBA's role in the loan process? The U.S. Small Business Administration (SBA) is a government agency that guarantees to lenders up to 85% of a loan made to qualified small businesses. The SBA's relationship is with the lender and is basically transparent to the borrower. Loans are approved and funded directly by Fresno First Bank and the borrower only deals with Fresno First Bank for the entire term of the loan. Fresno First Bank has been designated by the SBA as a Preferred Lender, which means they have delegated the authority to approve and process the entire loan without having to wait for SBA to review and approve. Loans are approved and funded directly by Fresno First Bank and the borrower only deals with Fresno First Bank for the entire term of the loan. What documentation will be required to get my loan started? In addition to the Business Loan Application and Management Profile forms, you should also provide personal financial statements for all owners with 20% or more business ownership, a year-to-date business financial statement, 3 years tax returns for both business and personal, plus a summary of how the loan proceeds will be used. Additional documents may be necessary depending on the nature of the transaction, talking with one of our specialists' can quickly determine project specific items. What collateral is required for a Government Guaranteed loan? We will generally look first to the business assets for collateral and, should that be insufficient, then we will look at the owner's personal assets to help collateralize the loan. B&I Loans — Who may borrow? Individual borrowers must be citizens of the United States (U.S.) or reside in the U.S. after being legally admitted for permanent residence. Corporations or other nonpublic body organization-type borrowers must be at least 51 percent owned by persons who are either citizens of the U.S. or reside in the U.S. after being legally admitted for permanent residence. B&I loans are normally available in rural areas, which include all areas other than cities or towns of more than 50,000 people and the contiguous and adjacent urbanized area of such cities or towns. What types of projects are eligible for B&I funding? Refinancing when it is determined that refinancing is necessary to improve cash flow and create new or save existing jobs. Commercially available energy projects that produce biomass fuel or biogas. How may B&I funds be used? Purchase and development of land, easements, rights-of-way, buildings, or facilities.